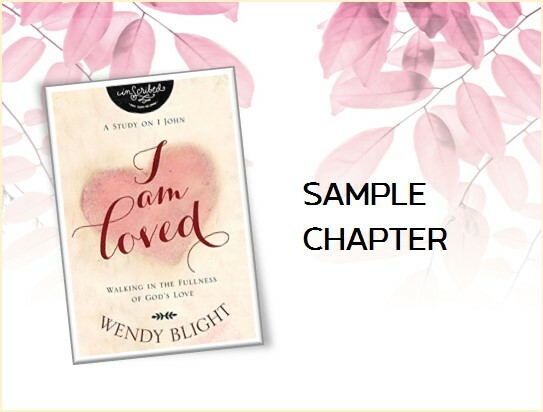 I am "so loving this study" – thank you Wendy. Also I am so glad you had a wonderful time with your husband. Thank you for listening to God and speaking on prayer. I sometimes have a hard time in that area and the scripture verses, most familiar, were the exact answer to my prayers. The study of David is interesting. Be blessed. I agree with Sandy. I have always been afraid of praying boldly for things — healing for sickness, financial help, intervention in difficult situations, because I didn't think my prayers would change anything, and that it was being demanding, inappropriate, or even worse, unrealistic. Also, I always felt awkward — I just didn't know how. But the Bible verses you gave us, and your teaching about praying God's word has changed my perspective, and encourages me to change my approach. Also, I heard Marc DuPont speak last week, and he just happened to speak about 2 Samuel 5:22-25, about the marching in the treetops, which was no coincidence. I don't know how hearing marching in the tree tops applies to me, but I guess I am supposed to keep praying for God to keep my ears open, and my heart open to know his will, and to pray boldly, using His Word, not timidly, doubting the entire time. I really, really needed this lesson. Now, back to work (on praying). Thanks for your video message, Wendy! I'm so excited to dig into the Word this week. ….I loved the verse 5 and when I looked at it in context I loved it even more! These wars we fight in our lives arent of the flesh they are of spiritual value! Ephsians 6: 11-13 says "11 Put on the whole armor of God, that you may be able to stand against the wiles of the devil. 12 For we do not wrestle against flesh and blood, but against principalities, against powers, against the rulers of the darkness of this age,[a] against spiritual hosts of wickedness in the heavenly places. 13 Therefore take up the whole armor of God, that you may be able to withstand in the evil day, and having done all, to stand." The armor of God is what we can use to fight temptation when we are in that position…we can choose to not follow the progression of David's sinful thoughts/deeds/actions by taking captive our thoughts to Christ, aligning them to Him and His Word. This was such a sweet song to my heart today, it is a great reminder that we have the power in us thru Christ to overcome these battles before they even begin. So in Nathan's parable to David, I know the rich man represents David — but I am still unclear as to who the poor man and the little lamb represent. Is the poor man Uriah and the little lamb Bathsheeba? WOW! I have just finished this weeks lesson. In answer to question 13-a. These verses scare me. I am scared of the consquences of my sins. David's son died because of his sin. Does our sins today pass on to our children as well? Do they pay for our sins? Our sins do NOT pass to our children and our children's sins are NOT a reflection on us. We are all responsible for our own sins!! Romans 14:12 So then, each of us will give an account OF HIMSELF to God. David's son's death was a consequence of his sin. We all have consequences to our sins and sometimes our lives are affected by the consequences of the sins of others. I would also like to respond to anonymous who asked about Nathan's story. I think maybe God is the poor man, and Uriah is his lamb — God treasures each one of us as though we were the only lamb He had. And David just slaughtered Uriah for a moment's pleasure. Uriah was loyal to David, and did everything he could to please him, including not reading David's message to Joab. 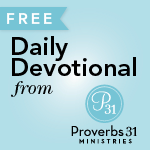 What David did was despicable, instead of rewarding Uriah, he abandoned him on the battlefield. I hate to think about how Uriah died, surrounded by enemies, wondering why he was alone out there. I am totally on board with these verses and I have no problem being disciplined by God when I’m out of line. But how do I know for sure if/when God is disciplining me? Some would say that every bad thing that happens to us is a result of divine discipline. So, when I hit a deer last week on my way to work, God was disciplining me for something I had done. In John 9, the disciples exhibited similar thinking when they asked Jesus “Rabbi, why was this man born blind? Was it because of his own sins or his parents’ sins?” Jesus then goes on to refute the idea that the blind man’s affliction is at all related to his own sin or that of his parents. Yet, in the book of 2 Samuel we see a clear correlation between David’s sin and God’s punishment of that sin. I wish I could see an example in my own life, where God had disciplined me and then I emerged stronger and more closely aligned to his heart. I wonder if it’s happened but I failed to identify it as such. I’d love to hear all of your thoughts on this. Sometimes things happen in our lives because the Lord is disciplining us. Sometimes things happen in our lives as a consequence of our sin. So with David, Bathsheba's pregnancy was a consequence of their adultery. God choosing to take the life of their child was His discipline. Now sometimes the negative consequences of our actions have the same effect as discipline if we allow ourselved to be humbled by them and allow God to work in us through them as David seemed to do. And sometimes bad things happen in our lives because we live in a fallen world, and we have done nothing to cause them. That may be what happened with the blind man. God used his blindness as a way to display His glory. I hope this helps! If any of you have other thoughts, please chime in. Thank you for your questions, girls. I especially love how you all share your thoughts on the questions as God leads. 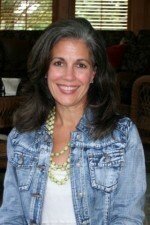 Thank you Denise for sharing your thoughts and so much Scripture in answer to Terri's questions. I always thought that Uriah was the poor man and Bathsheba the lamb in Nathan's story. Obviously, David didn't kill Bathsheba, but he did 'steal' her from Uriah even though he had more than enough wives. Thoughts? I am loving this study Wendy.. I know God sent it through you just when we needed it. After some study, according to scholars, Uriah is the poor man and Bathsheba is the lamb in Nathan's story to David. But what really matters is that God spoke through Nathan to confront David with his sin in a way that would really hit him hard! I am greatly encouraged. I have seen God work in my life over these last several weeks and it is amazing to feel personal growth that I have been missing some time. I am a mother of 1 and 1 on the way and I feel a burning desire to be a Godly woman so that my husband and child(ren) can see His love through me each and every day. Thanks for your ministry, it means more than you know. 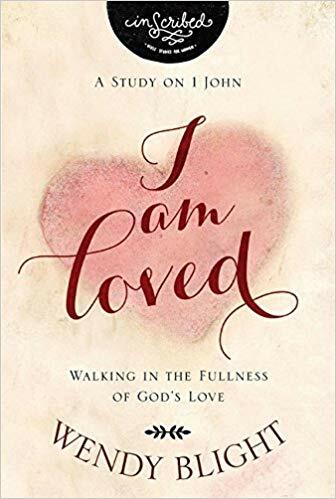 I am so gald i've been doing this study-'cause I too want to be a woman after God's own heart.How can we know when we are being disciplined and when things of the fallen world we live in. I'm 42 now and i had a very abusive past from my parents and other relatives at age 3 and other boys who now are ment to age 21 now i am suffering the outcome-which caused me to be so messed up now that i've had strings of turmoil that seems never to go away now even at age 42. 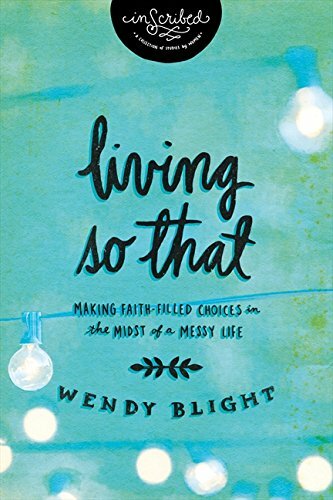 I haven't had a day where i'm not going through something awful-i always ask God to let me die -and why did he even let me survive just for a really messed up life while so many people like you-wendy are lucky God healed you from your past. I wish he would heal me real soon and yet i've been praying he would and now at 42 still not. Thank you for the study-may God continue to bless you as obviously he has. I'm not sure how to pray back God his promises to him? How do I do that exactly? anyone? I need prayer right now-i'm in a tough spot which i have been in for years-oh, I wish God would intervene now!Please pray that God will grant me deliverance and to be a woman after His own heart-to be a doer of the Word and not just a hearer and the same for my kids and husband-oh how badly i need my husband to be the spiritual leader for our household! Please also pray that God will give me a (true)friend(s) for I have none,even at my age. Thank You. God Bless you and everyone here-I really enjoy the bible study even though i cry alot. Thanks again. You promise that when I seek you with all my heart, I will find you. I want to find you and hear you today. Please reveal to me great and unsearchable truths and promises I do not know. Lord, open the eyes of my heart that I may see the wonderful truths and promises in your law. Amen, Make it a blessed day. First, Kory, thank you for helping her to see how you pray the promises of God. The best way to learn is to have a model or example. Heavenly Father, we ask that You fill Mary Lou with the fullness of Your presense from the top of her head to the tips of her toes. Assure her of Your love and Your great plan for her life. Teach her through the power of Your Holy Spirit how to take Your living and active Word, Your powerful promises and pray them back to you. 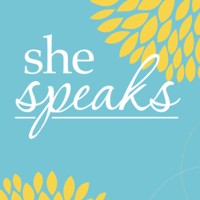 We ask that You would honor those promises and show her in very specific ways that You are at work in her prayers. Father, be with her husband and convict his heart to lead his family as You command in Your Word. Place godly men in his life who will mentor him and model what it means to be a spiritual leader. Until that time, please show up large and powerful as the Father and leader for Mary Lou. Guide and direct, protect and provide. We pray for God's healing power to wash over your hurt and brokenness…for His Light to shine brightly in Your times of darkness…for His Hope to replace hopelessness and His Joy to replace sadness. Praying that in the midst of your trials you will trust Him at His Word that He will never leave you or forsake you…that He alone is the strength of your heart and your portion forever. Praying you will never ever again speak the words you want to die because Your Father in Heaven has a beautiful plan and purpose for your life, and this place of pain is part of it. Once He heals you from it, He will use it for your good and His glory. I promise. I was at that place you are, wanting to die. 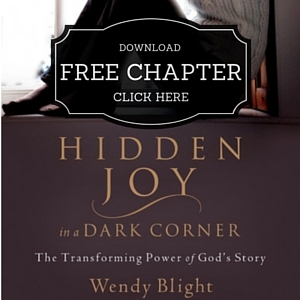 If you have not read my book, Hidden Joy in a Dark Corner, please do because it will help you take definitive steps through prayer and the Word to reach the healing you so desperately desire. God wants nothing more than to bring you to a place of healing!! He will be faithful to do so. 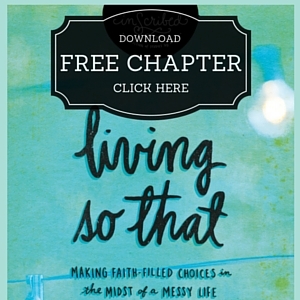 Read the sample chapter I make available in the sidebar so you can really see how God worked to heal one area of my life. Not a simple question to answer. Sometimes God disciplines us through the consequences of our choices and that is pretty obvious (like Bathsheba's pregnancy). Other times God disciplines us through the conviction of His Holy Spirit…taking away our peace…taking away our contentment so that we know we are walking outside His will. 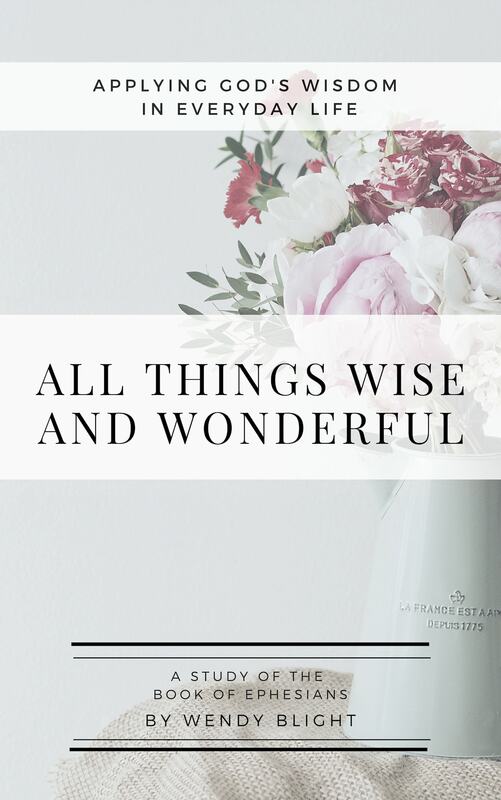 Sometimes He will allow stress and strife in relationships around us to bring us to a place to see our role and responsibility in that strife, where our heart is out of line with His in the situation or relationship. Sometimes He will allow sickness and exhaustion in our lives to bring us to a place of rest when we are going to strong and too hard, forgetting to spend time with Him and put His priorities first. Sometimes He will take us right to some convicting truths in His Word to speak right to our sin and use them to bring us to a place of repentance. When we don't pick up on it right away, we can live like David in a place of anger, depression, hopelessness. That is why being in His Word with a tender humble heart, ready to receive corection is so important. Oh Wow Wendy, I'm so blessed this entire week. Can I tell you, that I have been blessed-because it's really a blessing in disguise- to have the opportunity to do my Bible study at work!! Praise God! It's so quiet here, and my computer, my keyboard my screen has become literally an altar for the Lord. I have so much peace and quiet to pour over His Word and do these questions and really read and study. I come home to my husband and it's because of you and the Lord using you with this study, that I'm so much more attentive to the Psalms, and how every one of them have specific meanings and the time periods that David has gone through with the Lord. It's helped me so greatly. I've been studying these Scriptures about David with new eyes! I'm learning a lot too from the other ladies who've been sharing. I too had questions about how the Lord disciplines us, how do I see it? how do i know? But I've come to understand that the times that there are strife between my husband and I could be the enemy or it could be discipline from the Lord..or that my heart wasn't in the right place. But I've come to know that my heart has become more tender with learning through David's life. Thank you thank you thank you!! So week 5? when is that starting! Love and appreciate you.. God continue to bless you! What a joy to come home and read this note from you. Thank you! 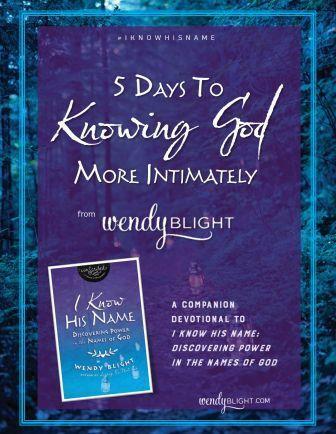 Thanks to all of you for the sweet words of encouragement you send about how God is using this study in your life. It is why I do what I do. Week 5 is now up. Thank you so much for this study. It has come at the right time in my life as I am going through a very testing period. I now understand that what I am going through is discipline from God! This really helps and I know that it's because of Gods love for me that He is disciplining me so as to make right my relationship with Him. I have discovered that once I accepted that and submitted myself fully to Him, I have inside me this unexplainable peace! 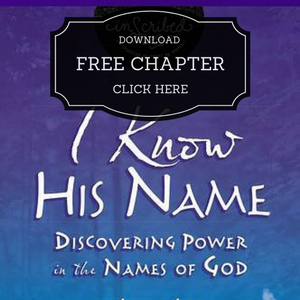 It's really amazing and I want to encourage all who are going through difficult circumstances to pray deeply and to ask God to reveal to you the lesson Je wants you to learn. Trust me when I say that once you submit to God fully, trust in His promise that He has plans for your life which are to prosper and not harm, then you obey His laws, nothing can ever shake you again. Pray, trust and obey. Applying those steps will ensure that you remain close to Him and He will take care of the rest. Once agin, Wendy thank you and God bless you. I am running a bit behind on my studying here. I am really struggling with the Hebrews passage on discipline. I have had health issues since birth, which have only gotten worse in the last 12 years. I am on a path to healing (finally), but it is very slow going. I suffer to some degree every day. I am in God's word every day and there is no blatant sin that I'm aware of that I need to repent of(and I have prayed about this). I have cried out to God for years for healing. The question ringing in my mind is: How much discipline is enough? Any thoughts or insights would be appreciated. I do not believe that all sickness is due to God's discipline. Much sickness in this world is due to the fact that we live in a fallen world where sickness exists because of what happened in the Garden of Eden. If you have sought the Lord with your heart, and He has not revealed to you that for which you have prayed, I believe your sin is not because of anything you have done. Take comfort in that. Remember in Scripture when the people asked Jesus who sinned that the man was born blind…the man himself or his parents? Jesus answered, neither one sinned, but it happened so the glory of God could be revealed in his life. I pray God's perfect healing for you and that until healing comes, I pray that He will meet you in your pain and bring you comfort and peace. I pray that in the midst of your sickness, He will strengthen you and encourage you through His Word and through His Spirit. I pray that as you struggle through your health issues, the glory of God will be revealed in and through you in very real and personal ways. I am so very sorry for the pain you live with each and every day. Please read the comment I left above for Anne about sin and sickness. How I wish I had an answer for why some suffer more on this earth than others and why it seems some heal and recover from trauma and others do not. But what I do know is that God is faithful, and He will meet us right where we are. I pray that you will find comfort in your Father in heaven when you feel lonely and unloved. He promises that He will never leave you or forsake you. I pray that you will find the right medical treatment to bring you to a place of clarity and peace. I pray that the peace that passes all understanding will guard your heart and mind when the evil one tries to steal it away. You are precious in God's sight. I know you do not feel that way, but you are. I pray He will show you in a very real way His great love for you and that you will feel His pleasure and His presence in your life! Thank you for your post on Dec 5. I am in need of prayer: I am confused of who I am and especially of "who I am in Christ"? I never knew me growing up (that too was stolen from me) and even more confused of who I am in Christ? Am I to seperate the two or does it all get combined? The questions you posted were hard to take 'cause so much was stolen,taken,and lost from me and God obviously, can't give back to me all that was stolen,taken, and lost from me. I will be printing the post and keeping it close by and wanting for a long time now understanding and answers to those questions soon if any reply will ever be given to me. I am really tired of waiting for it to happen. I'm 42 now and I was going to say I want it done within a year-but, than again who am i to say/give Almighty God a time limit. So much bad has been done to me (along with time)and everything close to me was lost along with it. And i don't want to pick up the pieces any longer and why bother anyway due to my age and where I am mentally, emotionally, physically, sexually,financially,and the list goes on. Thanks for the post-it's obviously putting me on the right path again.